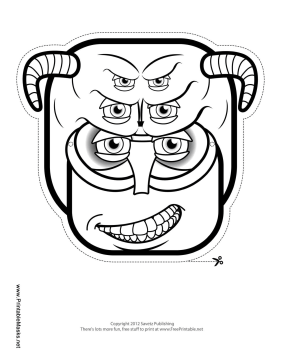 What a scary monster mask for you to color! This creature has six eyes, two horns, and a whole lot of character! If you're attending a Halloween party, put on this mask to wow your friends! This mask is free to download and print.